Special Accomodations Procedure: Every situation requesting permission for special accommodations (including religious apparel) is evaluated on an individual basis. The procedure is as follows: SPECIAL DEVICES AND PROSTHESIS 1. Written approval by the school physician to participate in a specific sport while wearing the device. 2. Review of the NYSPHSAA approved sport specific rules to determine if there is a prohibition. 3. The member school requests, in writing from the Athletic Director on school stationery, a review and evaluation by the Assistant Director responsible for safety. All requests are to be accompanied by photos of the device being worn by the student taken from several different angles. Additionally, documentation of school physician approval is to be sent. 4. NYSPHSAA review consists of reviewing the game rules, evaluating if the student would be safe participating while wearing the device, evaluating if teammates and opponents are placed at risk, and possible consultation with our medical advisors. RELIGIOUS ACCOMMODATIONS 1. Review of the NYSPHSAA approved sport specific rules to determine if there is a prohibition. 2. For a special accommodation the member school requests, in writing, a review and evaluation by the Assistant Director responsible for safety. 3. Written explanation of the special accommodation needed from the student’s religious leader. 4. 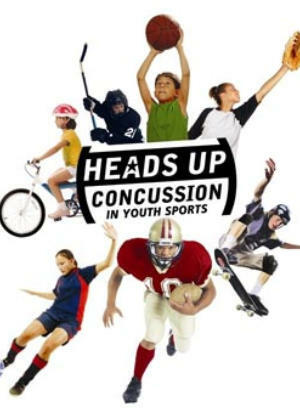 NYSPHSAA review consists of reviewing the game rules, evaluating if the student would be safeparticipating while wearing the device, evaluating if teammates and opponents are placed at risk, and possible consultation with our medical advisors. SPECIAL ACCOMMODATION: 1. Review of the NYSPHSAA approved sport specific rules to determine if there is a prohibition. 2. The member school requests, in writing, a review and evaluation by Assistant Director responsible for safety. 3. Written documentation from school physician outlining the student’s physical limitations and need for a special accommodation. 4. NYSPHSAA review consists of reviewing the game rules, evaluating if the student would be safe participating while wearing the device, evaluating if teammates and opponents are placed at risk, and possible consultation with our medical advisors. The NYSPHSAA will provide written notice of approval or denial to the school district in a timely manner.